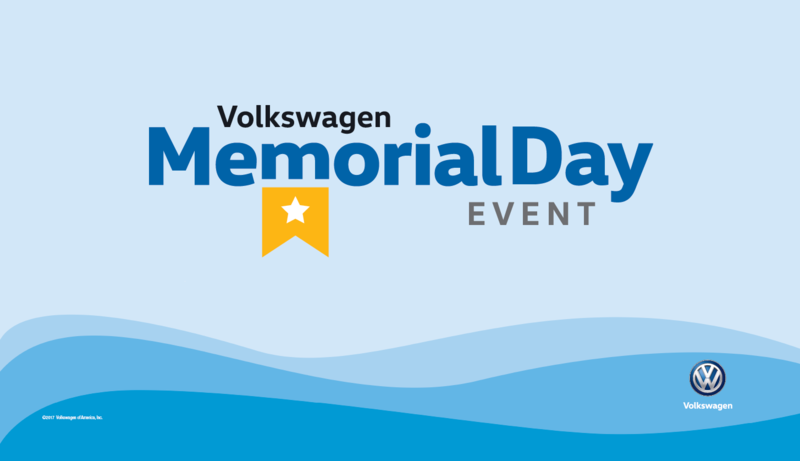 Volkswagen of Orland Park in Illinois is home to the Memorial Day Sales Event, showcasing deals on the finest German-made cars in the area! Our current offers include stellar savings on the 2017 Volkswagen Jetta, available at $179/month for a 36-month lease, plus a $750 Memorial Day Bonus. The 2017 Volkswagen Passat is also available at $199/month for a 36-month lease, plus at $750 Memorial Day Bonus. For more opportunities to save, browse our automotive specials or give our sales team a call today! Volkswagen of Orland Park stands by each and every vehicle on our lot, and the Volkswagen Jetta and Volkswagen Passat are no exception. The pair represents four-door quality at its finest, each complete with state-of-the-art safety features, high-tech entertainment, and the peace of mind knowing that your vehicle is as reliable as they come. To discover more about these compact and midsize sedans, and how it feels to sit behind the wheel, stop by our dealership in Orland Park, IL for a test drive! Curious as to how you’ll finance your new Volkswagen? Volkswagen of Orland Park is here to help. From our monthly payment estimator to getting pre-approval for an auto loan, we’ve got the tools and the know-how to make sure you don’t break the bank when you buy or lease your new, used, or certified pre-owned vehicle. For quality vehicles matched only by the quality of our customer service, look no further than the Memorial Day Sales Event at Volkswagen of Orland Park. We attempt to update our website in a timely manner however neither Volkswagen nor the dealer can guarantee that the inventory shown will be available at the dealership. We cannot be responsible for typographical and other errors, including data transmissions or software errors that may appear on the site. If the posted price, incentive, offer or other service is incorrect due to typographical or other error we will only be responsible for honoring the correct price, incentive or offer. We make every effort to provide you the most accurate, up-to-the-minute information however when you are ready to purchase products or services, it is your responsibility to verify with us that all details listed are accurate. Mid-model-year manufacturing changes, as well as dealer-added accessories on the actual vehicle may differ from the options and features shown. MSRP is provided by the manufacturer for informational purposes only. Actual pricing and vehicle information must be verified by us at the time of purchase. Images shown may not necessarily represent the configurable options selected or available in the comparable case study above. Although the compare data is updated regularly, we not make any warranty or guarantee of any kind, express or implied, regarding the compare data, including without limitation any warranty regarding its currency, accuracy or completeness or any warranty of merchantability or fitness for particular purpose. All prices, specifications and equipment are subject to change without notice and should not be relied on. Photographs may not reflect all features accurately. Pricing does not include any fees that may apply for vehicle color choice. Vehicle color choice may require certain options that may not be included in the options list. MSRP excludes tax, handling charges, and destination charges. Starting at price refers to the base model, a more expensive model may be shown. Optional equipment may be shown. Pricing may change at any time without notification.